Jaydeep Steels is acknowledged to be one of the leading manufacturers and supplier of Aluminum Bars and Rods. 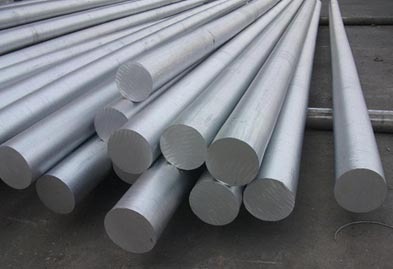 Aluminum is the third most abundant element on the surface of the earth and is originally derived from the bauxite ore. We use various methods like extrusion, rolling and coiling, or direct drawing from molten Aluminium to produce the finest range of Aluminum Round Bars. We ensure that only the finest grade of Aluminium is put to use in developing the best quality Aluminium round bars for our customers. Hence, at Jaydeep Steels, the available Grades of Aluminum Rods are 6061, 7075, 5052, and 6063, 1100 and many more. The industrial need of Aluminum Forged Bars & Rods arises in situations where performance and safety are highly important but so is the need for a light-weight metal to ensure speed and energy efficiency. Hence, we manufacture the Aluminum Round Rods by the ring-rolled forging method, which is in accordance with all the national and international quality standards. We produce Aluminum Threaded Bars & Rods by threading either one end or both ends of long bars or rods. The presence of threading makes it easy for the nuts, bolts, and other fasteners to be screwed onto the rod easily. Aluminum Bright Bars & Rods have a smooth and bright surface with accurate tolerances, as they are produced under the guidance of experts with long experience in these fields. Aluminum Cold Drawn Bars & Rods are available in various Shapes like Round, Square, Rectangular, Hexagonal, etc. The aluminum bars and rods are available in forms like Threaded, Polished, Hot Rolled, Cold Rolled, Annealed etc., and are used in automotive products like pump casings, pistons, cylinder heads, brake assemblies, etc. Contact us today and avail a quick quote today! Jaydeep Steels stocks a wide range of materials and grades. 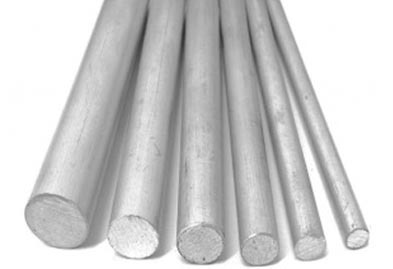 Below are a list of all standard aluminum bars and rods materials and grades we stock. Our experienced team of metal experts will get you the metal you need when you need it. Call us today for your Aluminum Bars & Rods Needs!